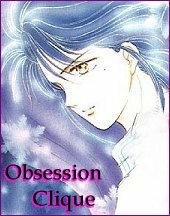 Obsession Clique - A clique to show your obsession for your favorite anime/video game character! A clique to show your obsession for your favorite anime/video game character! Fist of the North Star Games is the #1 Worldwide Hokuto no Ken Fan Community. Join us today for the latest news in Hokuto no Ken, active discussion, chats, and a plethora of files, photos, links and not to mention an extensive database of all Hokuto no Ken knowledge! Join today! You will have no regrets!